According to Small Business Labs, coworking spaces will accommodate more than five million members by 2022. There are currently more than 13,800 coworking spaces worldwide. Additionally, a growing number of coworking spaces are going niche to deliver even more value to members. 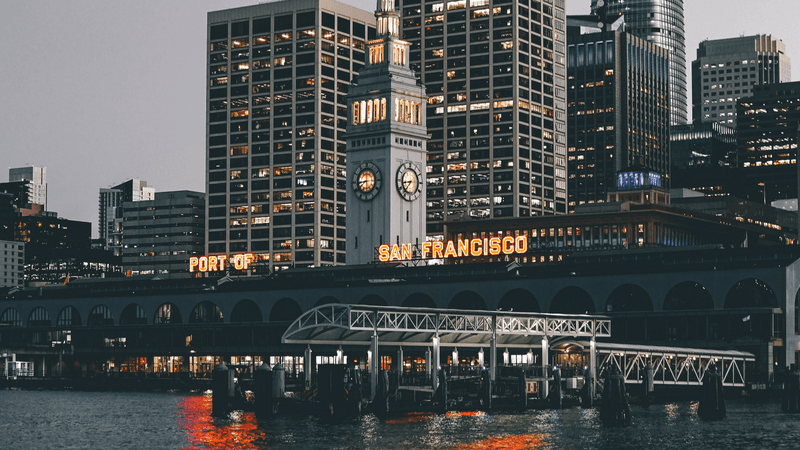 Furthermore, the world's leading tech startup founders continue to choose San Francisco as their home due to the area's high concentration of venture capital, top tech talent, and growth opportunities. Relocating to a coworking space in San Francisco might be exactly what your startup needs to achieve accelerated growth. However, before making the move, here is a list of everything you need to know about coworking in the City by the Bay. When deciding on the right coworking space for your tech startup, it is important to evaluate your budget. The size of your team and growth stage will determine which membership level is right for you. Most coworking spaces offer day passes. However, startups get the most value from monthly memberships. In San Francisco, open-seat memberships typically range between $250 to $500 per month. Meanwhile, dedicated desks range between $350 and $800 per month. Some coworking spaces will even offer customizable and build-to-suit arrangements for larger teams. Most often, these types of coworking memberships — open seating, dedicated desks, private offices — help startups save money. With no overbearing or longterm commercial lease requirements, coworking grants members with the ease and flexibility needed to grow. Additionally, most coworking spaces will cover administrative and support costs including internet, cleaning, furnishing, and more. Consider where the coworking space is located. Are you interested in meeting potential investors? San Francisco's financial district is a major hub for venture capitalists. Are your team members commuting into or within the city? Take advantage of the city's easy-to-use and convenient public transportation system by finding a space near the BART or MUNI bus express line. Additionally, consider where your top picks are relative to eateries, airports, and other popular destinations. Convenient lunch apps such as MealPal only serve certain areas of the city. Are you ready to join San Francisco's tech community? Learn more in the Silicon Valley Startup Guide. San Francisco's top coworking spaces make networking a routine part of the work day. With easy access to entrepreneurs, venture capitalists, and employees candidates, you will have an abundance of opportunities to connect with world-class people and resources. Use these valuable networking opportunities to uncover industry trends, strategies, and more. With the right support network in place, members can brainstorm, strategize, and access the directional insight needed to scale at a higher velocity. Increase your chances of making valuable industry connections by positioning your startup in a tech-centric coworking community like RocketSpace. RocketSpace routinely hosts roundtable discussions, tech talks, and open office hours. Most of San Francisco's best coworking spaces provide members with basic amenities like complimentary printing, reservable conference rooms, and reliable internet. Meanwhile, other coworking spaces will provide world-class amenities like rise-fall desks, showers, bike storage, and a relaxation room. When a coworking space takes care of all the administrative responsibilities — refilling printer cartridges, sorting through mail, cleaning restrooms, and more — members can focus on what matters most: growth. This is especially important during the early stages of startup development when team members are expected to deliver 100 percent effort. Is RocketSpace right for your tech startup? Find out in the Power of Ecosystem. Additionally, RocketSpace members benefit from working alongside likeminded startup founders and employees. They also have access to one-of-a-kind and pilot-focused accelerator programs. These focused and growth-oriented offerings give members the boost they need to tackle industry roadblocks and take their startups to all-new heights. Are you searching for a new workspace to call home? Beyond evaluating the criteria above — budget, location, networking opportunities, amenities, and niche offerings — try before you buy! RocketSpace accepts Seed to Series C funded tech startups with a minimum viable product in place. Since 2011, RocketSpace has supported over a dozen industry-leading tech giants including Spotify, Uber, Supercell and Zappos in achieving billion dollar valuations. While RocketSpace cannot provide a roadmap towards success, it can certainly be your startup's springboard. The world's top tech startups scale at RocketSpace's San Francisco tech campus!